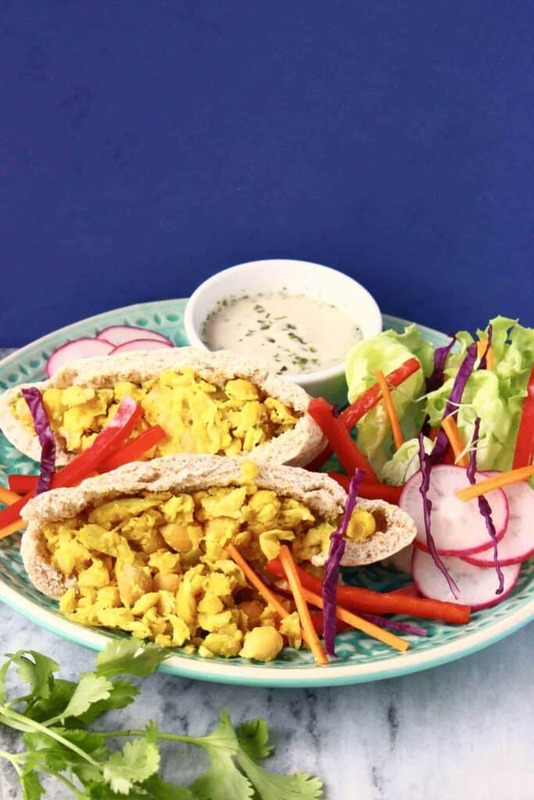 Hello lovely readers, please meet life-changing Lazy Falafel. I repeat, life-changing. What’s not to love about falafel? As a university student I would often visit Taste of Cambridge. Also chummily known as ‘The Falafel Van’, this itinerant eatery can be found on the corner of Market Street, usually attached to a flock of loyal customers. 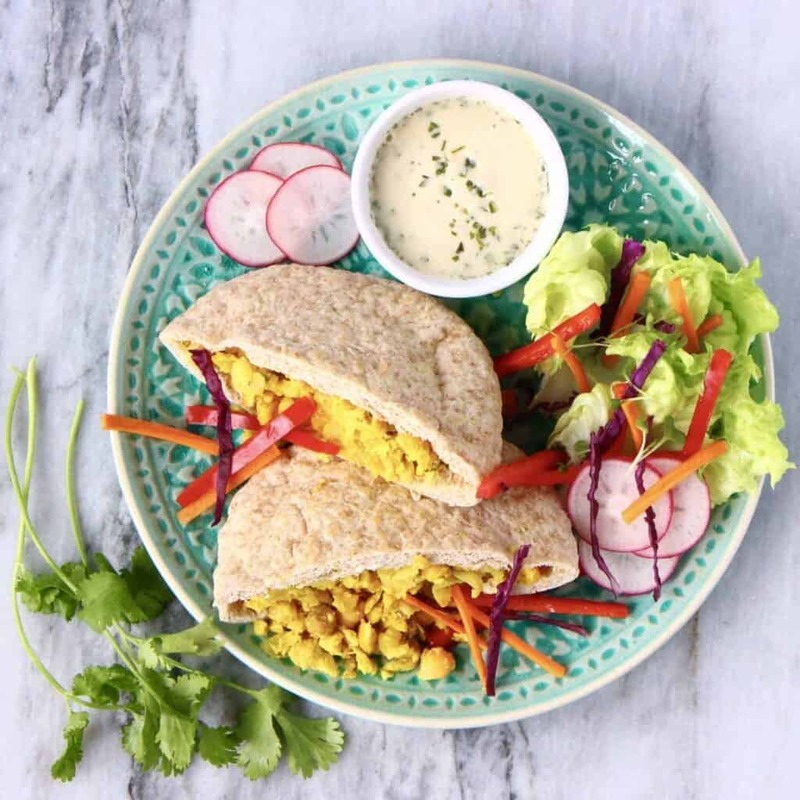 Their well-known falafel wraps will delight vegans and omnivores alike: expect warm flatbreads filled to the brim with spiced falafel, fresh salad, creamy tahini dressing, piquant harissa, garlicky hummus, smoky grilled aubergine and fragrant mango chutney. Another experience I look back on fondly is when I ate my body weight in Middle Eastern food at L’As du Fallafel in Paris – huge falafel pittas loaded with every accompaniment imaginable for very reasonable prices – an unusual but very welcome combination in the French capital. Issue is, falafel is a bit of a faff to make yourself – between frying up the onions, blending up the chickpeas, shaping it all into patties, coating them in flour, turning on the oven or heating up oil, you are left feeling unsure whether the resulting very tasty pitta was really worth all that fuss. 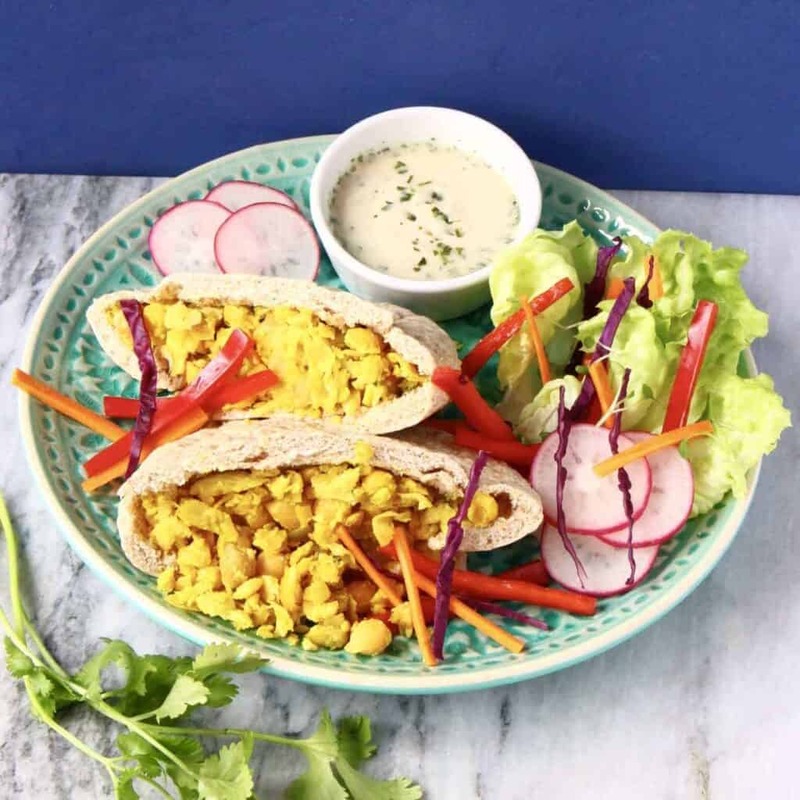 Enter this wonderful creation aka Lazy Falafel: it’s SUPER easy to make, will take up less than 30 minutes of your time (including eating time depending on how quickly you can wolf down your lunch), and tastes every bit as delicious as the traditional version! So here’s the deal: just fry off some onions with some basic spices, add crushed chickpeas, stuff into a pitta with accompaniments of choice, and hey presto you have a falafel pitta. I came up with this quicker and easier version of falafel one evening in Paris when I got home from work at 8pm and really wanted to eat falafel but didn’t have the time or energy to make it properly. So I figured, once it gets stuffed into a pitta along with other ingredients and sauce, it basically turns into a (delicious but shapeless) mush anyway, so what’s the point in shaping it into patties and frying it? 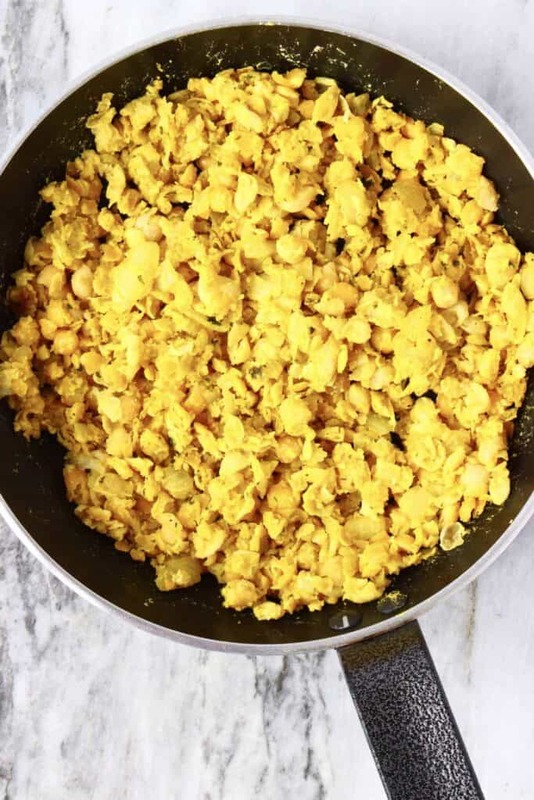 Why not just crush up some chickpeas and fry off with onions and spices? 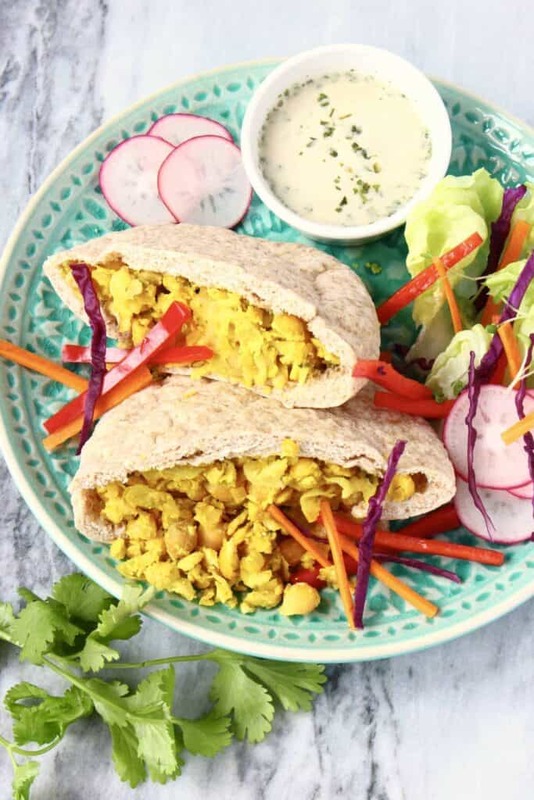 And what’s more, this falafel actually happens to be much healthier than the traditional version as there’s no deep-frying involved, plus being vegan and gluten-free, it’s more accommodating too! This falafel is delicious paired with a tahini, lemon and dill dressing (recipe below), which I was inspired to make after trying a lovely falafel wrap I had at a café in London, which was flavoured with dill. It was a combination I hadn’t really thought about before, but it was absolutely delicious! So I just had to re-create it at home. 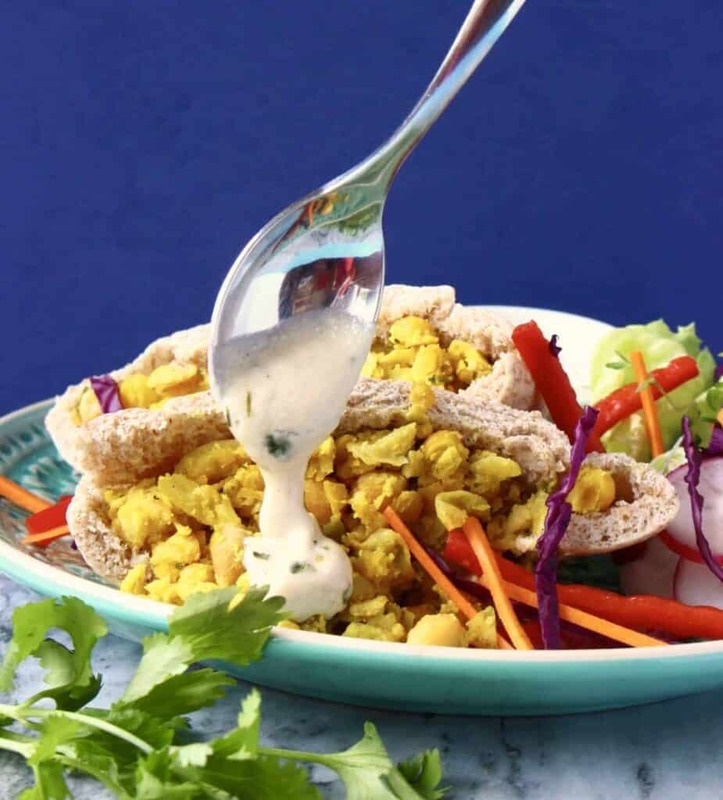 This really is seriously easy to make and makes such a great substitute for falafel, thank you for the idea! Yum. So good. Served it on lettuce cups. Thanks!